In June 2017, Rosanne Jepson, 37, decided to go for laser eye surgery having worn glasses since about the age of 13 and contact lenses for the past 15 years. We talked to Rosanne about why she decided to have laser eye surgery. “As a small animal medicine specialist (veterinary specialist) I have a very active job that can involve long hours in the clinic and at times, boisterous patients that like to jump or climb up to my face! I also love to run, hit the gym and enjoy evenings at the theatre and opera when I find the time. I found it frustrating to wear glasses, which were constantly in the way and where my peripheral vision was compromised. Why did Rosanne choose OCL? 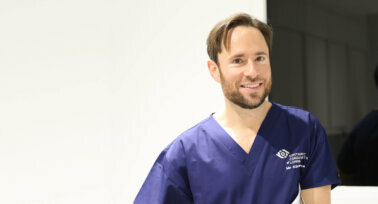 Rosanne commented that when choosing a surgeon, she knew she needed someone she felt confident and comfortable with. “This was very important to me. 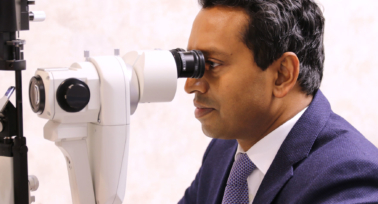 There are plenty of ophthalmic surgeons who perform LASIK, but there are exceptionally few with the combination of qualifications and experience that the surgeons at OCL have. Having clarity of vision after laser eye surgery has made a huge impact on every aspect of Rosanne’s life. “My work as a veterinary specialist in a university is very diverse and I’m constantly changing between different tasks requiring both distance and near vision in different environments. It’s great to no longer have glasses slipping down my nose when trying to examine dogs and cats as moving targets on a consulting room table! When I wore contact lenses I used to notice my eyes becoming dry and irritated, particularly performing endoscopy (camera) procedures that required me to look at screens for long periods of time in warm rooms or in air-conditioning. After laser eye surgery, this just doesn’t happen and my eyes feel less tired at the end of the day. It’s not just about the animal patients though. I can now see those students not concentrating at the back of the lecture theatre! I don’t ever remember having the level of visual acuity that I now have after laser eye surgery. It still strikes me every day, but it had the most marked impact the morning after my laser eye surgery. I was apprehensive about testing just how good my vision was going to be. I’d stayed over in London. Opening the curtains, I looked out and, instead of the usual blur of coalescing roof tops differentiated pretty much only from the sky, I could see individual tiles, chimneys and aerials, the detail of trees in the middle distance, and all the way to the London Eye on the horizon. It was a pretty miraculous moment and, in short, my vision every day since has been perfect. 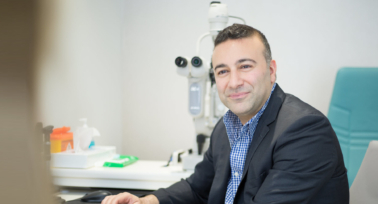 Laser eye surgery has given me an immense sense of freedom and the ability not to worry about something that should be as innate as perfect vision.